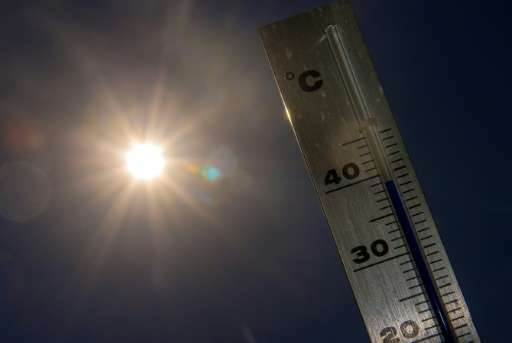 A jump in global temperature of two degrees Celsius would double the severity of crop failures, water shortages and heatwaves in many regions compared to a rise of 1.5 C, according to a study released Thursday. An extra 0.5 C (0.9 degrees Fahrenheit) would also add 10 centimetres (4 inches) to the average ocean waterline, further imperilling dozens of small island nations and densely-populated, low-lying deltas, a team of researchers reported. In a 2 C scenario, impacts are amplified in certain climate "hot spots," said the study in Earth System Dynamics, a journal of the European Geosciences Union. In the Mediterranean basin, for example, a 2 C world would see its supply of fresh water diminish by 20 percent compared to the late 20th century—double the loss forecast for a 1.5 C increase. "We found significant differences" between 1.5 C and 2 C projections for 11 different impact areas, said the study's lead author Carl Schleussner, a scientist at Climate Analytics in Germany. The world's first global climate pact, hammered out by 195 nations in Paris last December, aims to hold average global warming to "well below 2 C" compared to pre-Industrial Era levels. The Paris Agreement also pledges to "pursue efforts" to cap warming at 1.5 C, a hard-fought concession to a coalition of more than 100 poor and climate-vulnerable nations. More than 160 countries are set to attend a formal signing ceremony Friday at the United Nations in New York, the penultimate step before ratification of the accord. 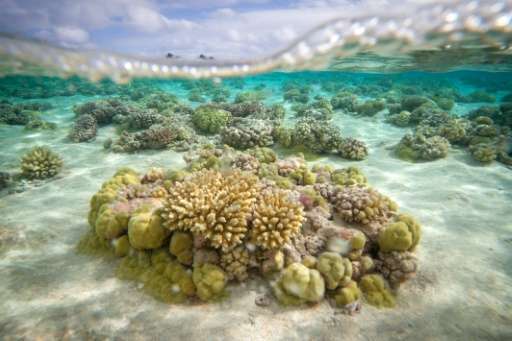 The study also looks at coral reefs, and found that warming of 1.5 C would give these threatened ecosystems a fighting chance of adapting to warmer and more acidic seas. An extra half-a-degree by century's end, however, would expose all the world's reefs—which harbour 25 percent of the ocean's wildlife—to possible extinction. Last week, scientists in Australia reported that 93 percent of the Great Barrier Reef is already affected by bleaching. In tropical zones, another hot spot, the loss of maize and wheat yields would be twice as severe in a 2 C world. Extreme weather events would also be amplified. "The additional 0.5 C increase marks the difference between events at the upper limit of present-day natural variability"—an intense heat-wave, for example—"and a new climate regime," Schleussner said in a statement. Many climate scientists have cast serious doubt on the feasibility of holding temperatures below the 2 C threshold—never mind 1.5 C.
At current rates of fossil fuel consumption, Earth is on track for an increase of 4 C or higher. In almost any future climate scenario, humanity will be confronted with the challenge of cooling the planet by removing carbon dioxide from the atmosphere, something current technology does not allow on a global scale.